HPE-410 Landing Page | Coburn Technologies, Inc. Introducing a new addition to the already impressive Excelon family of finishing equipment, the HPE-410 Excelon Lens Edging System. The new HPE-410’s design is fresh and modern. Its revolutionary features were designed to keep up with the eye care professionals’ finishing demands. 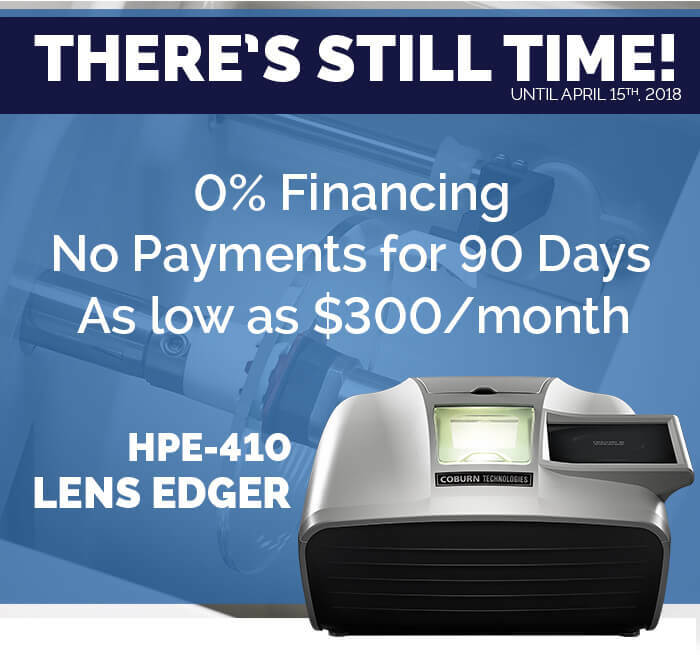 This machine comes enhanced with a stronger wheel with longer durability, and eliminating lens slippage with an adaptive lens chuck and position sensor. Contact us to learn more! Multiple job handling and concurrent processing allows the user to manage jobs that have been paused, completed, and saved or jobs currently being processed. User is able to prepare the next edging task while the edger is in process.